As the start of a new college football season nears, the air is full of new optimism, expectations and hope. For many Gamecock fans the 2015 season represents a sense of new life or a new beginning, after a 2014 campaign which was at times painful to watch. 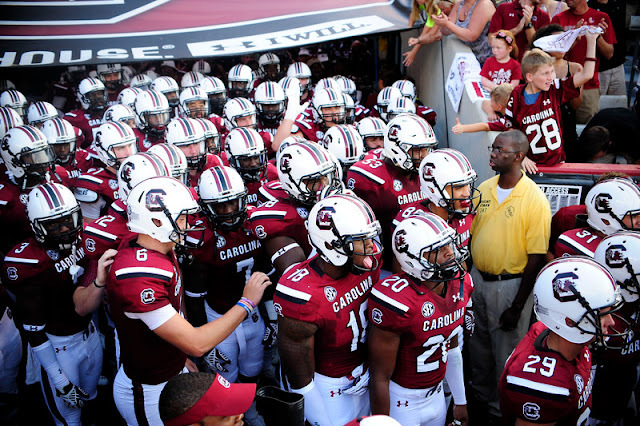 Entering the 2014 season there was much optimism surrounding the team and many national pundits had the Gamecocks pegged to win the SEC East. Fans around Gamecock Nation seemingly bought into what was expected to be a big season. However, looking back, as it is always easy to do, the 2014 season should have been labeled a rebuilding year. With many pieces missing from the 2013 defense it should have been obvious that there would be concern with a young and inexperienced group. Throw in a new defensive scheme in the 3-4 and you have a recipe for disaster. With that being said, some pundits have suggested that the Gamecocks are on a downward spiral and may be heading back to the cellars of the SEC after finishing with a 7-6 mark. Personally, I do not believe this to be true, as I now consider the 2014 season a stepping stone heading into the 2015 season. Obviously there has been quite a swirl of excitement around this 2015 team throughout the spring and summer months. Multiple players and coaches have made that crystal clear. They seem to have a feeling of redemption on their minds, which is certainly just what this program needs to make a quick turnaround. There are many questions that still remained unanswered, such as who the starting quarterback will be, but with fall practice just a week away, many of these questions will be answered in time. QUARTERBACKS: All eyes will be fixed upon the VERY OPEN quarterback competition heading into fall camp. Connor Mitch is the obvious front runner, but whether or not he will secure the starting position has yet to be determined. As far as the spring game goes, all of the QB’s appeared to perform about the same. We all know of course what really matters is how they perform under the lights. Incoming freshman Lorenzo Nunez has been participating in summer workouts and is said to be "freakishly athletic". Nunez seems to fit the best in the current offense as long as the "read" is still an option. No pun intended. This QB competition should be an ongoing battle all the way up until opening night. Connor Mitch will be pushed by Michael Scarnecchia, Lorenzo Nunez and Perry Orth for the starting job, no doubt. In 2011 everyone presumed Stephen Garcia would be the starter in the opener against ECU until the HBC pulled a fast one and went with Connor Shaw. Garcia eventually finished the game, being inserted after the half, but it just goes to show you never know with SOS. We are 37 days away from opening kick and we will touch on the many questions of fall camp as it nears. Please feel free to post questions or concerns about the 2015 team and I will try to follow up.